"The resource packs are fantastic - and the course really did allow me the opportunity to use and navigate myself around the programme manual – and to really embed the key vocabulary and gestures that are essential to consistent delivery in the classroom." We are proud to offer our interactive whiteboard presentations for the Initial Code and Extended Code. As with the entirety of our programme, we have spent a good deal of time ensuring that these presentations meet the very highest of standards. Right-click and 'save target as...' to download either file to your system. The presentations consist of 338 slides, 33 of which have been specially illustrated for us by Judith Wardle. The sequence of slides follows the order of the Sounds-Write programme. 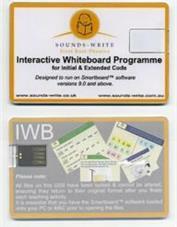 Sounds-Write's interactive whiteboard presentations were assessed and approved by the UK government's 'Curriculum Online' agency in 2007. We have a short introduction to the presentations on Youtube - Please follow this link for the Youtube video. This disk is also available in SmartBoard format. It contains activities for all the first twenty-five units of the Extended Code as well as polysyllabic words for reading and spelling. 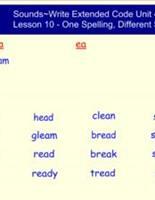 As Sounds-Write practitioners will be aware, the phoneme and grapheme units contain a range of activities. For example, there are word building activities with puzzles, sorting activities, find the spellings, sound reviews, opportunities to build ‘silly sentences’, as well as building and reading polysyllabic words. All presentations are displayed in an attractive format for children at any key stage and learning objectives and instructions are given in user-friendly terms. Sounds-Write activities are designed to provide daily practice for all children learning to read and spell, whether as beginning readers or as catch-up. 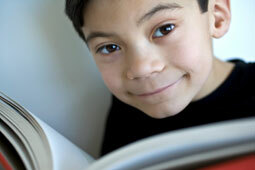 They give pupils practice in the skills of blending, segmenting and phoneme manipulation: the skills identified as being key to proficient reading and spelling. They also rapidly develop pupils’ knowledge of the alphabet code as well as their understanding of how the writing system works in relation to the sounds of everyday language. "We currently use the interactive whiteboard extended code disc throughout our school. The disc is extremely comprehensive and has a large number of activities to fit in with all of the extended code lessons. 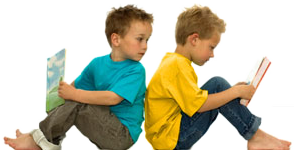 Polysyllabic lessons ensure that higher ability children are challenged on a daily basis. Another benefit of using the disc is that lessons are prepared for you and are ready at the click of a button. 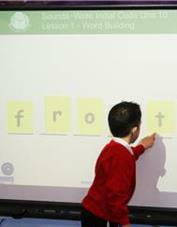 The children are also more motivated to participate in lessons when the interactive whiteboard is being used. We are delighted to be able to use the extended code disc in our school." (Mick James, Literacy co-ordinator, Springfield Lower School). The licence agreement for the CDs allows each school to make and use up to five copies of the CD, which in turn enables the use of the presentations in multiple classrooms at the same time. Alternatively, you may wish to store the presentations on the school's server - also allowed within the terms of the licence.